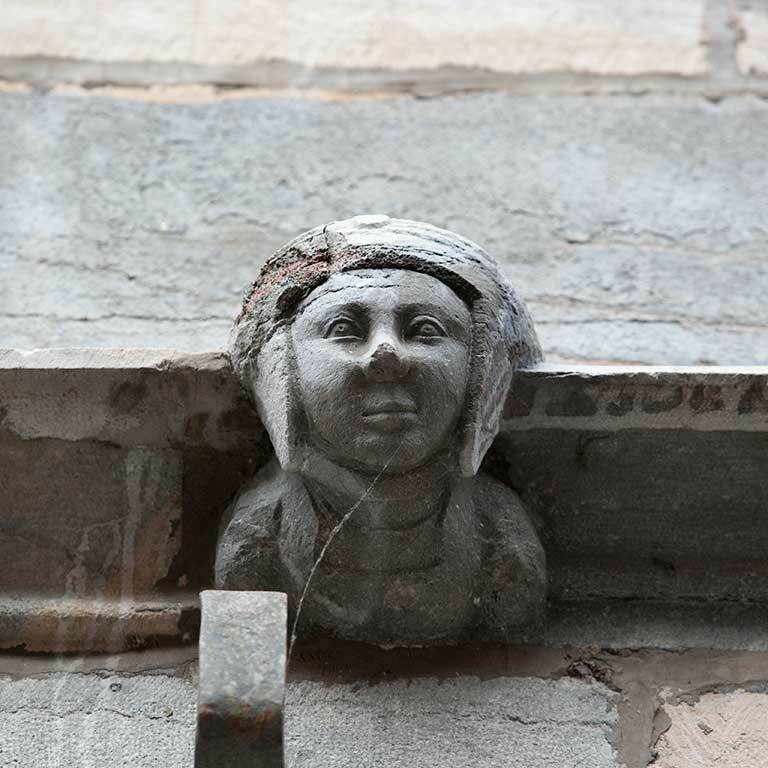 Contrary to most Besançon residences that had several dwellings in the courtyard, No. 36 has only one home and it gives onto the street. 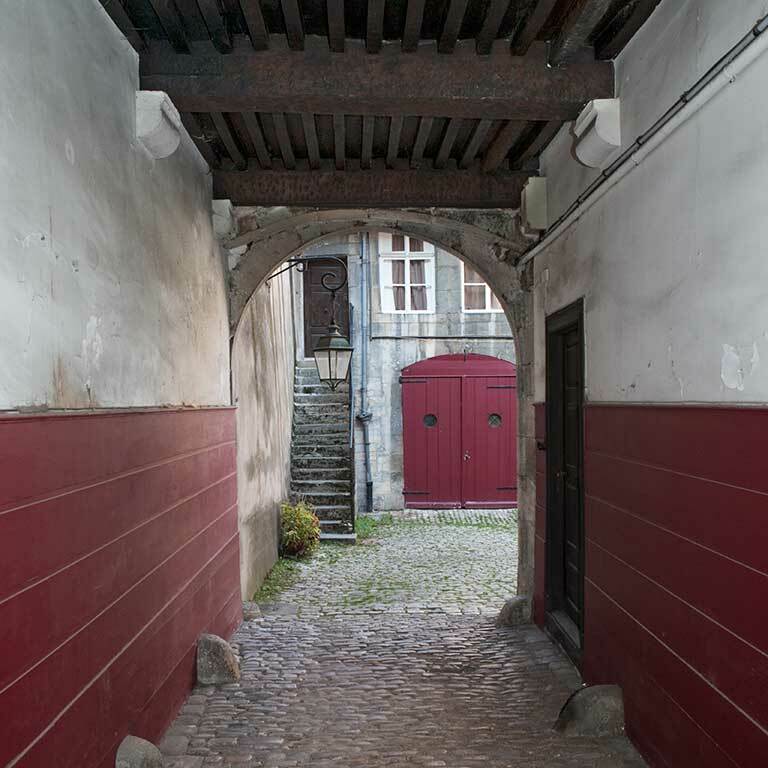 As for many homes, different additions were made at different times: the street facade was redone in the 17th century while the courtyard facade dates from the 16th century with its ogee arches above the casement windows. 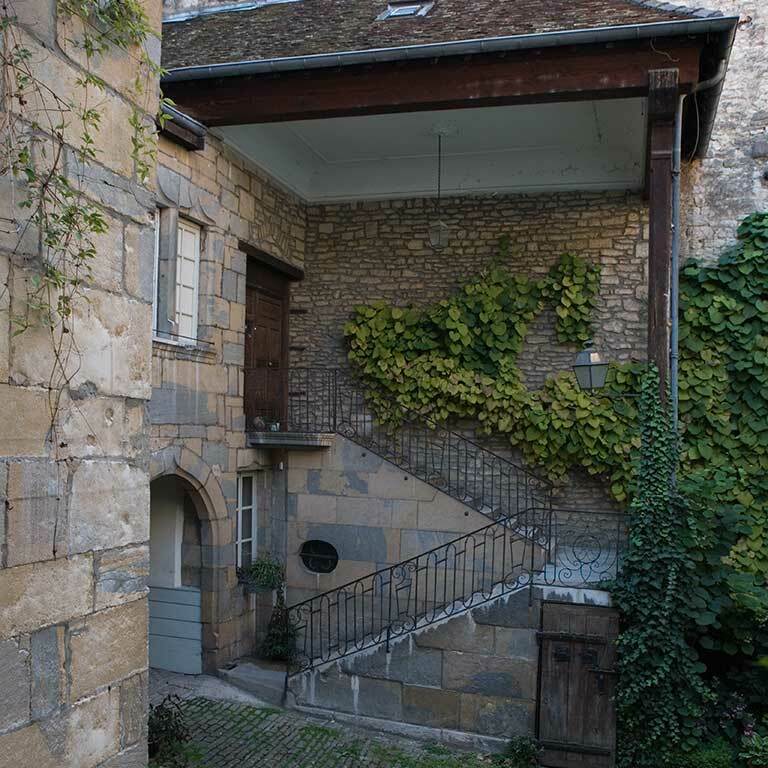 In the courtyard, the outside staircase is protected by a roof; it serves the house. It was rebuilt in the 18th century and a wrought iron railing was added. Another staircase leads down to the wine cellar. All the houses in the city have at least one wine cellar. 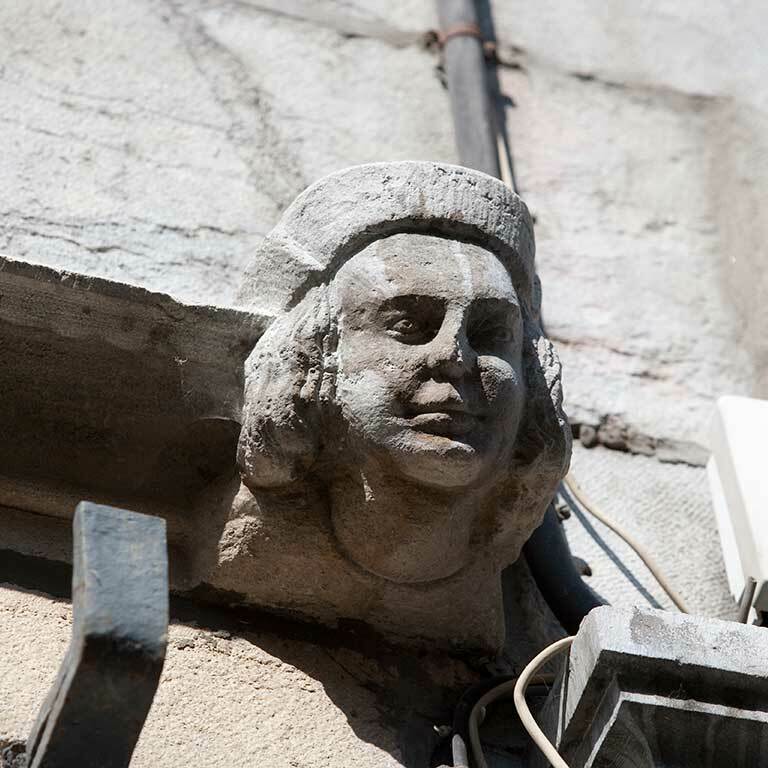 From the Middle Ages to the 19th century, viticulture was the main economic resource of the city. 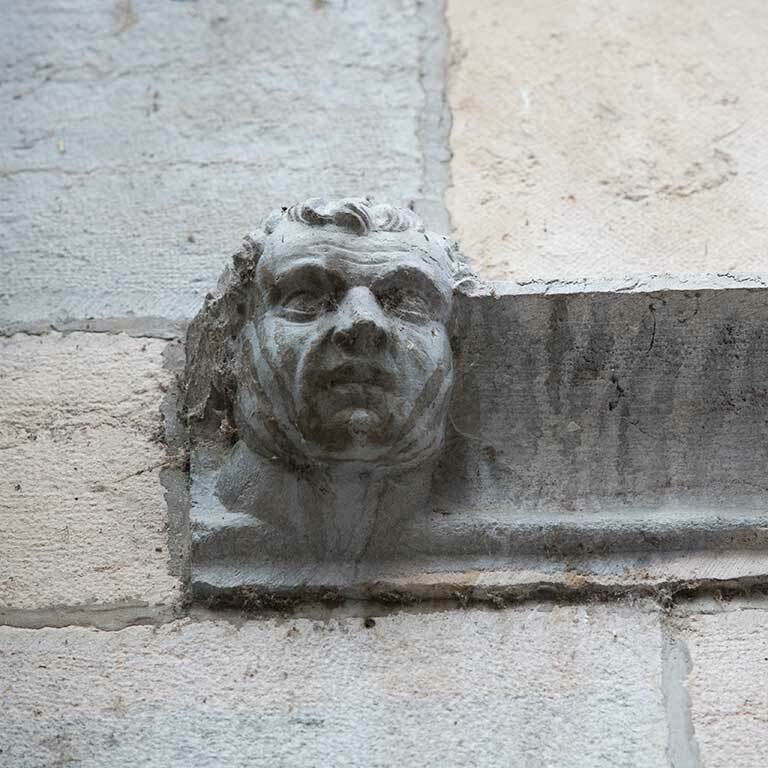 As you go up rue Renan, stop in front of the facade of No. 20. 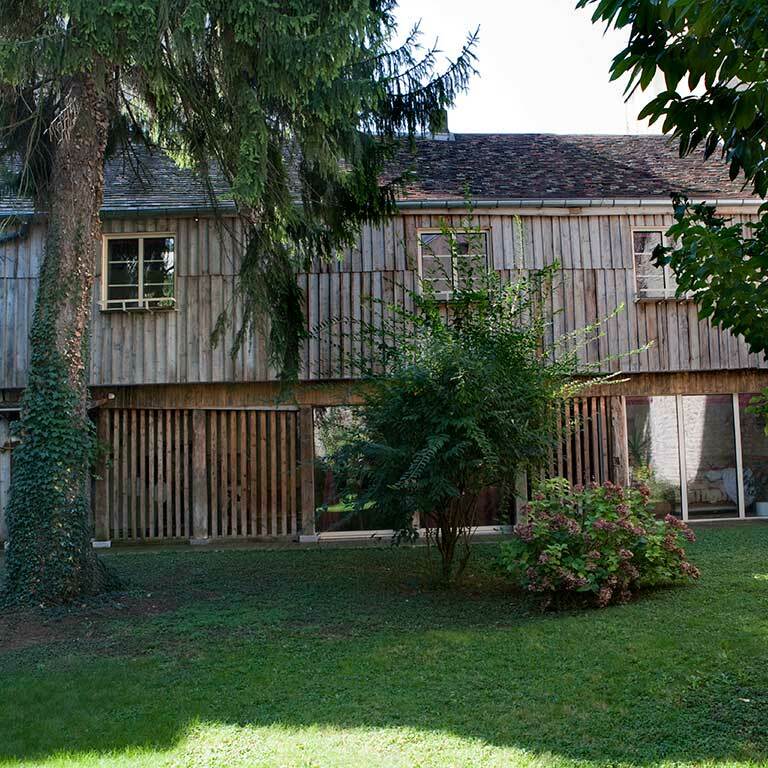 This home was built in the early 16th century: it has only one storey. It gives you a good idea of the size of the homes in Besançon before the 18th century. The casement windows with their ogee arches on the ground floor were protected with wrought iron bars. The horizontal theme of the facade is accentuated by the elaborate moulding of the cornice and by the stone band decorated with three heads, which supports the upstairs windows. When you walk into the carriage entrance, look up. You will see a wooden beamed ceiling in the French style. The courtyard facades were modified in the 17th century. The open stone staircase to your right, with its banisters of turned wood is probably one of the oldest in the city. The year 1691, engraved above a window of the house at the back of the courtyard, is probably the date of construction. The house’s straight stone staircase and its wrought iron railing were built at the same time. 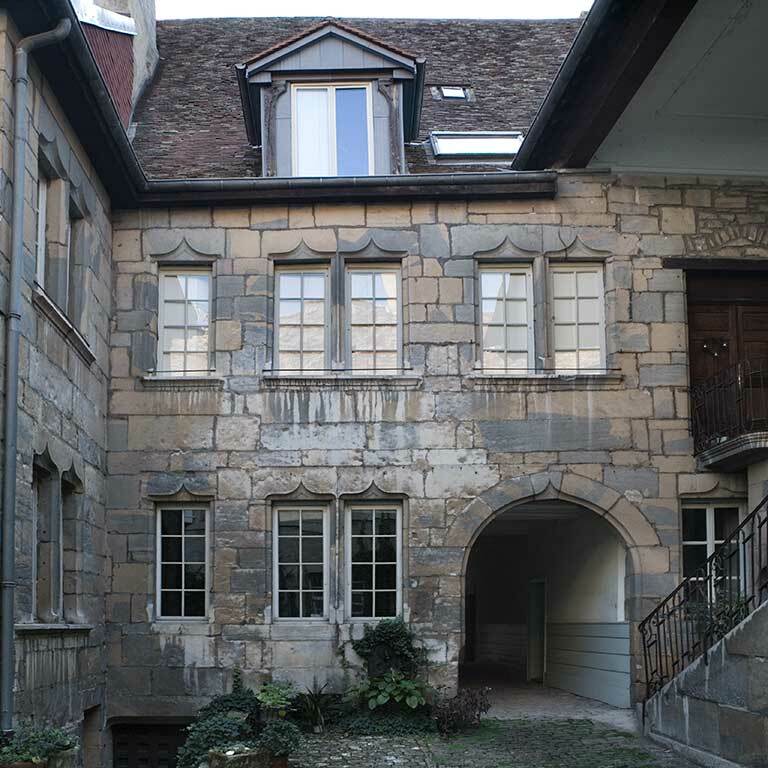 In the second courtyard, you can see the woodshed: a familiar thing in Besançon, used for storing firewood.